Does a tribute album get any bigger? Still to come? Covers from a few other people you may have heard of: Mumford & Sons, Perfume Genius, Sharon Van Etten, Kurt Vile, ANOHNI, Wilco, Angel Olsen, Grizzly Bear’s Ed Droste, Lucinda Williams, TV on the Radio’s Tunde Adebimpe, Real Estate, the Flaming Lips, and too many more to name. And because the National aren’t bragging or anything, even Bob Weir himself is involved, on covers with Wilco and the National. 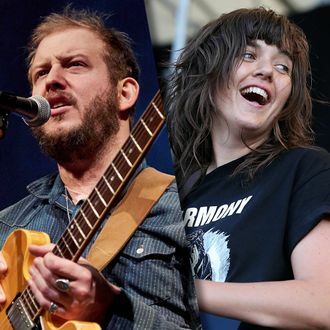 As if that’s not enough, you’ll likely even get to see most of these covers happen live, thanks to Justin Vernon. His Eaux Claires festival this year has an entire dedicated “Day of the Dead” set. Oh, just take our money already.